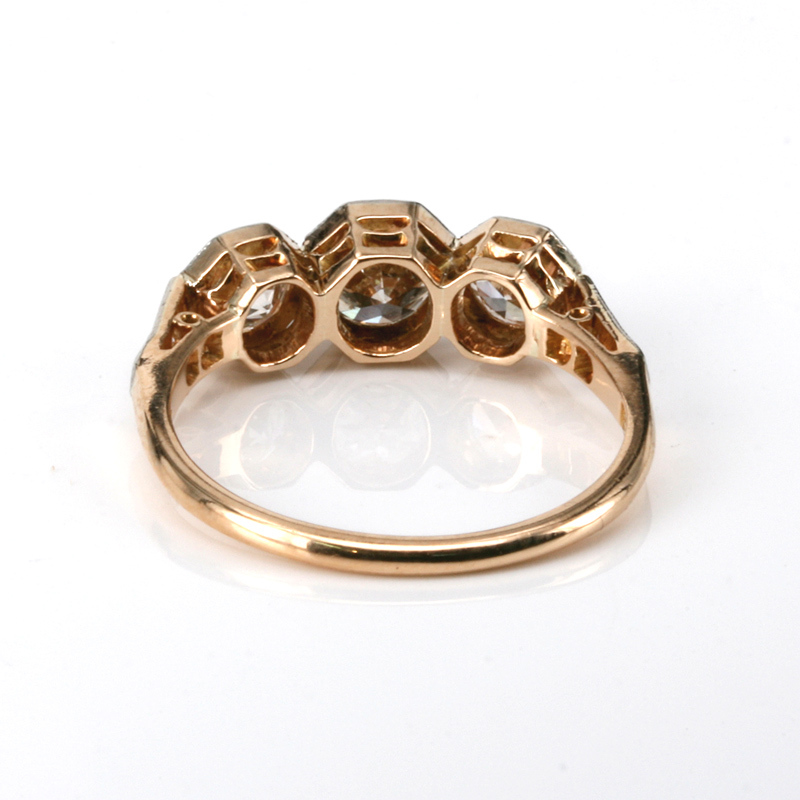 Product code: R676 Categories: Sold Items, Sold Rings. Here is a truly spectacular example of a genuine Art Deco diamond engagement ring and one that will always be loved, admired and cherished. 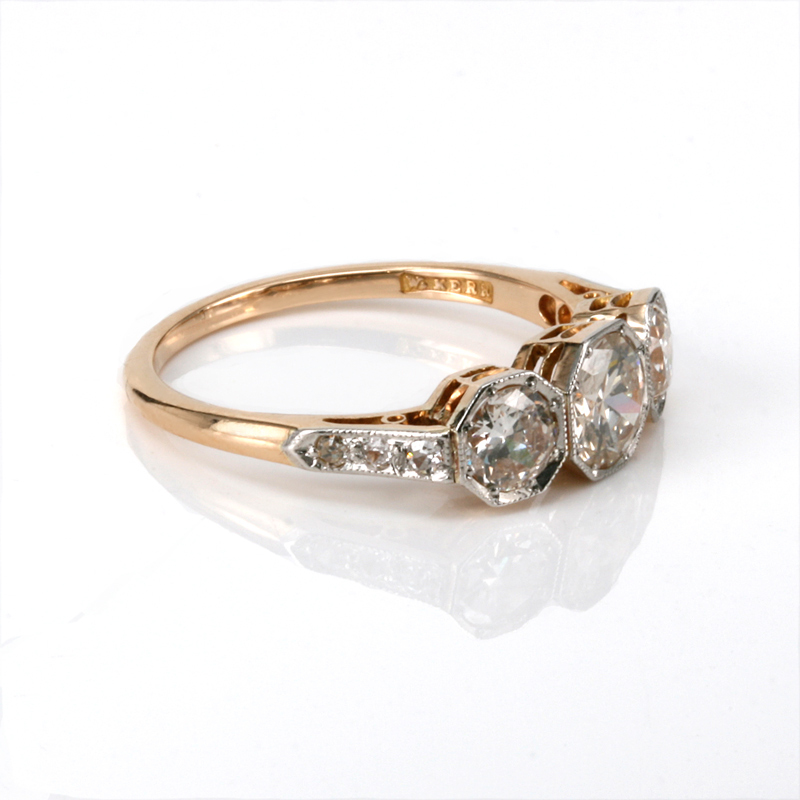 Beautifully hand made in the 1920’s Art Deco era in 18ct yellow gold and platinum, this engagement ring is set with three main diamonds and six smaller diamonds. Art Deco jewellery quite often incorporates a “shape inside a shape” and here you will see it is set with the three round diamonds each in their individual octagonal setting. These three diamonds total 1.32 carats and not only have a wonderful sparkle to them but are highlighted b the three diamonds each side which total 0.06 carats. Made by the early Australian jeweller W. Kerr in Sydney, William Kerr founded his business in 1873 and was passed onto his children making this a wonderful example of early Australian jewellery as well. So beautifully made and proportioned on the finger, this Art Deco engagement ring is just perfect and will always be loved.